Aloha from Maui! Here you will find my song list, and some sound samples of my harp music. 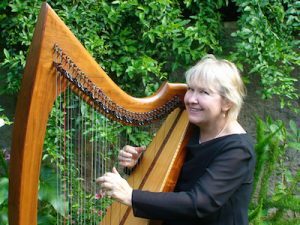 I’m available as a solo harpist, or as a member of a duo or ensemble. Whether you are having a small informal wedding on the beach, or a large elegant party in a hall, you’ll find that live music will be a beautiful and memorable part of your event. My goal is to provide beautiful music and professional service. I’ll work with you to create a customized musical experience that you’ll love. I love all kinds of music, and enjoy requests! Please contact me if you have any questions, and for availability and rates.